Although the small cumin seed looks rather unassuming, it packs a punch when it comes to flavor, which can be described as penetrating and peppery with slight citrus overtones. Cumin's unique flavor complexity has made it an integral spice in the cuisines of Mexico, India and the Middle East. It can be used raw, but is generally roasted to enhance the flavour and aroma, and sometimes also powdered before use. Contains phyto-chemicals that have antioxidant, carminative and anti-flatulent properties. Improves gut motility and helps in digestion. Excellent source of iron, copper, potassium, manganese, selenium, zinc and magnesium. Contains very good amounts of vitamin A, C, E and B-complex vitamins. 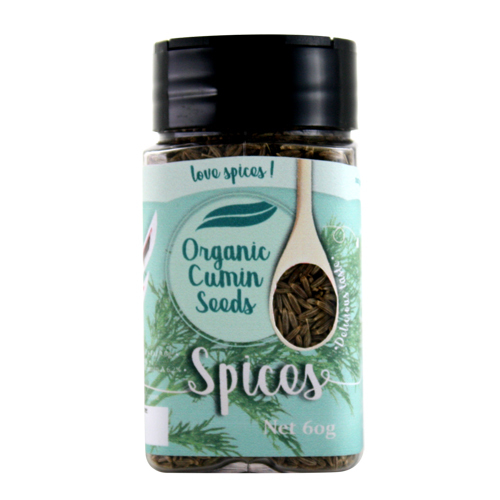 You'll get more flavour out of cumin seeds by grinding or dry frying them.